What is Scientology? Is it actually a religion? How many people actually follow it? What do their free stress tests actual measure? Why are there so many celebrities that follow Scientology? Is it a cult? As usual, I will start with the history. L. Ron Hubbard founded Scientology in the early 1950s. He coined this term based on the Latin word scientia which means “to know.” In 1951, he wrote a book called Dianetics: The Modern Science of Mental Health. (see picture above) In this book, Hubbard claims that there are three parts to the mind: analytical, reactive, and somatic. Dianetics uses a technique Hubbard calls “auditing” in which a counselor tries to remove the reactive part of the mind to make people more ethical and happy. Although the book was a best-seller, it was met with criticism from organizations such as the Journal of the American Medical Association as well as Newsweek. They said it was completely unscientific. 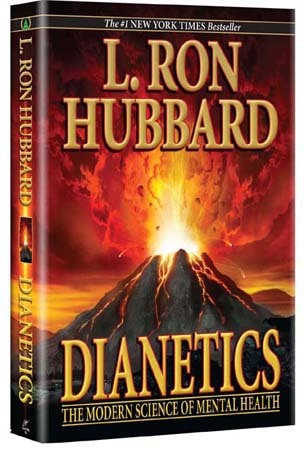 In 1952, Hubbard decided to use Dianetics to form a religion, and formed churches in California. This quickly spread throughout the United States, Britain, Ireland, and South Africa. However, the IRS did not recognize Scientology as a religion and thus it had very few members for many years. After many years of legal battles, Scientology was finally recognized by the IRS as a religion in 1993. Other countries then followed suit, including Sweden, Spain, Portugal, Hungary, and Taiwan. Countries that still refuse to recognize Scientology include Canada, Germany, France, the United Kingdom, and Greece. Today, their church claims that they have millions of members, but this seems to be a false claim in order to pressure people into buying their products. Based on surveys by the U.S. Census Bureau and the American Religious Identification Survey, there is only actually about 10,000 people in the United States that consider themselves members. In the 1970s, Hubbard came up with a plan called “Project Normandy” which included plans to infiltrate the city, government, and media of Clearwater. 90,000 pages of documents for this project were found in 1977 by the FBI, and criminal chargers ensued. However, Scientology survived and grew in Clearwater. As of 2006, they own approximately $50 million worth of property in Clearwater. Kids that grow up in Clearwater are very sheltered and follow strict rules every day. They are enrolled in private schools run by Scientologists. There are cameras everywhere throughout the city like in the book 1984. They are taught that illness is all psychological and medicine is not needed. They believe that they are actual immortal beings that are continuously reborn for trillions of years. They grow up believing that auditing is a normal and healthy part of life. Followers pay anywhere from $60 per hour for introductory auditing sessions to $700 per hour for advanced sessions. This sounds more like a business than a religion.